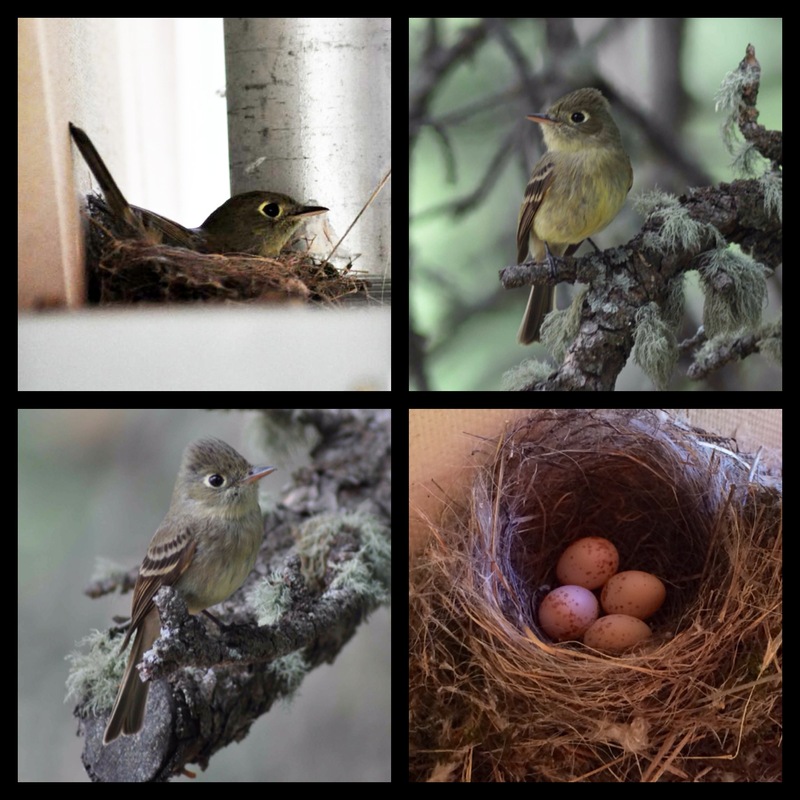 The photos — clockwise: Cordilleran Flycatcher mama sitting on the nest; Papa bird watching from the tree; Mama taking a break; the eggs in the nest. barely sheltered from the wind and the rain. of a mother’s tiny body. and all that is to come. We delight in your Creation. Thank you for sharing. You swept a bit of awe into my afternoon!